This is my first post in ModelBrush, but not the last. Now I have more time to devote to my hobbies and therefore I have started to resume some forgotten wargames, such as Battlefleet gothic and Mordheim. First, I have prepared a warband to play a Mordheim campaign in Madrid. Although I already have several Mordheim warband miniatures at home, I finally decided to prepare a new one, one which I love from a long time ago: Beastmen Raiders. Thus, using the Warband rules published in the Mordheim suplement Empire in flames (page 67), I have prepared my warband with 500 crowns. 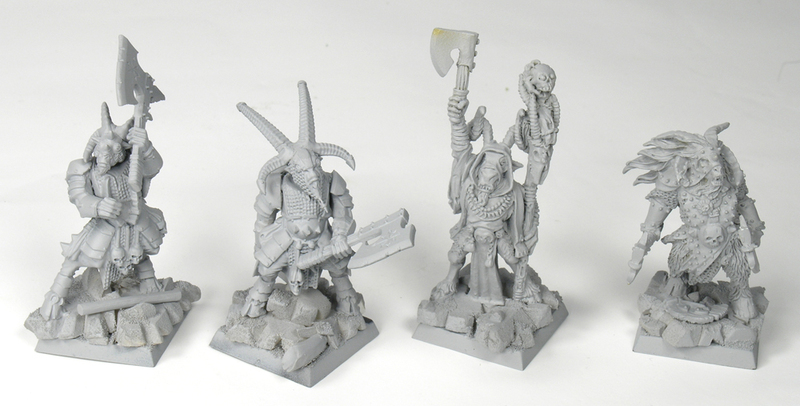 The starter warband has nine figures, including 5 heroes and 4 henchmen. The maximum number of heroes at the beginning of the campaign is mandatory, in my opinion. Unfortunately, they are so expensive!, specially the Centigor (although is awesome as fast unit!). Therefore, with the remaining crowns I’ve bought a couple of “meat shields”, a warhound of chaos and an Ungor with spear. 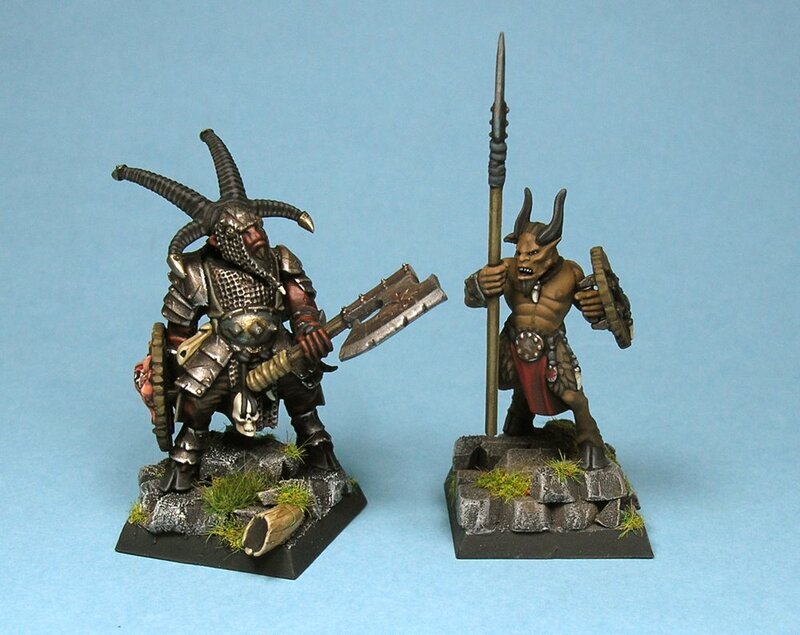 And most interestingly, a couple of Gors with two weapons. In the future I want to include another warhound and ungor, and four additional gors. 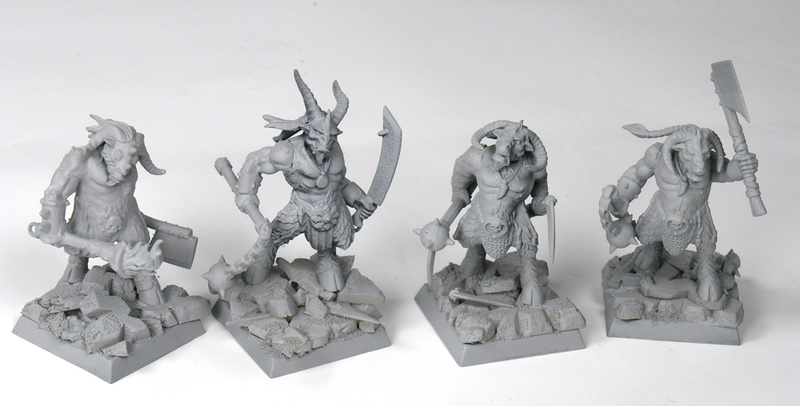 I want the gors constitute the main part of the warband. I will include a minotaur if I have the opportunity, of course!. Although at the begining I will use only 9 miniatures, I have already prepared some extra ones. Therefore, I have all heroes (2 bestigors, shaman and chieftain), plus 2 ungors, 2 warhounds and 4 gors. 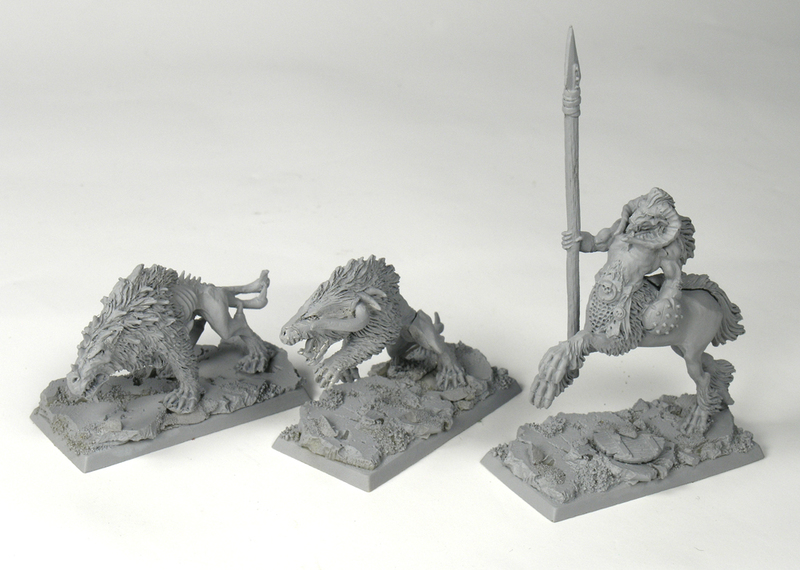 I love the new GW plastic figures, so I have exploit the fantastic beastman kits from Warhammer Fantasy Battles to build the gors, ungors and centigors. I have also used some metal figures. Some of them are new, such us the warhounds or the chieftain, but other are too old (and bad), like the Centigor or the Shaman. At the moment I have only painted one ungor (well, my brother did when he was trying to teach me). I have decided to use different skin tones, from beige brown to red brown. And maybe black. To made the base I have followed the same method HeresyBrush used in his Mariemburg warband. 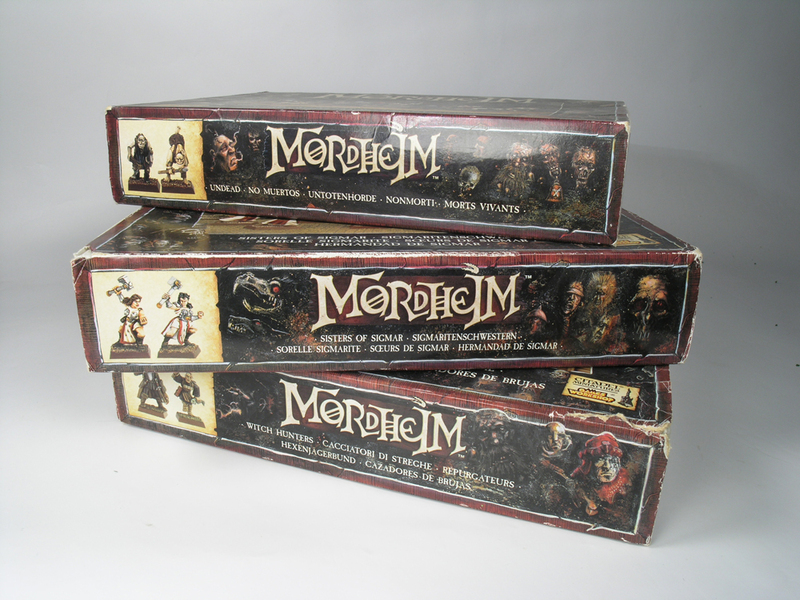 Finally, my brother and I have collected several old Mordheim boxes with plenty of miniatures!